Although your window may seem to be functioning properly as it should and always has, the truth is that faults in the sealing or fitting of the frame may exist without you knowing, resulting in your heat or air conditioning escaping costing you more and more each month to maintain a consistent, comfortable temperature. 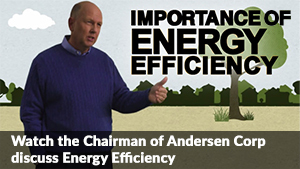 Renewal by Andersen® of San Francisco has the keen eyes to spot these problems and the resources to remedy the issues. Our Fibrex composite gives us liberty to create thinner frames, to use larger panes of low-E glass, and to apply insulated frames to create the tightest seal. Over a century of industry leading innovation and craftsmanship place Renewal by Andersen® of San Francisco at the pinnacle of window replacement and now we bring these years of expertise to Palo Alto. We made it our goal to eliminate faulty equipment in your home and to renovate it all with our premium materials. We are committed to delivering our superior product to your neighborhood. Call Renewal by Andersen® of San Francisco to introduce unique beauty to your rooms. We will work with you to create an interior design that contours to the natural aesthetics of your abode. We are waiting to help make your ideal residence a reality. Place your trust and home in our hands for your home improvement projects. Renewal by Andersen® of San Francisco leads Palo Alto the surrounding areas as experts in doors and windows. Call us today at (510)-263-3210 to schedule your free no obligation consultation on replacement windows in Palo Alto.